Wobbly Stackerrific Dr. Seuss Treats! One way to celebrate Dr. Seuss is by using food. We make the traditional green eggs and ham, but this year we stacked our snack to resemble hats that the Cat In The Hat would be proud of. The children loved playing with their food and seeing who could stack the bananas the highest. Spread a dot of peanut butter on the top of your cracker. Place a banana slice on it. Carefully, spread peanut butter on the bottom of a banana slice and stack it on top of the one on your plate. Build a "hat" like a tower using the remainder of the bananas and peanut butter. When your hat begins to wobble, you are done! We like to compete and see who can concoct the tallest hat. Tip Your Hat To Dr. Seuss! We are gearing up to celebrate Dr. Seuss on March 2nd! Dr. Seuss has inspired many people over the years with his love of reading and it is fun to pass on his works and fantasy filled world to children. This unofficial holiday is enjoyed by all and to celebrate we crafted a stylish hat that a fox in socks would definitely wear in a box. This Cat In The Hat inspired head ware is simple and easy enough for the youngest child to create. Draw a simple outline of a hat on your piece of paper. Use lines to create "sections" like the Cat's hat. Let the children color their hats and then cut them out. Cut straight strips of paper to use as bands around the children's heads. It may take more than one strip, but you can easily tape two together. Tape the hat to the head band piece. Measure the child's head and secure the strips with tape so the hat fits comfortably. Enjoy your fine fashion accessory! We created fun Dr. Seuss snacks and read books together. What will you accomplish while wearing your hat? The boys and I spent most of the morning shoveling drives and sidewalks. They were exhausted and the only living thing willing to "play" in the snow with me was Teddy Kent, our Jack Russell Terrier. 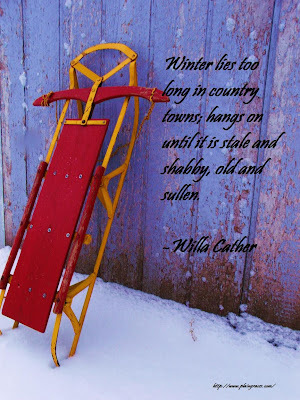 He was up for anything, as long as he got to ride on the sled when the drifts were too deep. What did you do outside today? 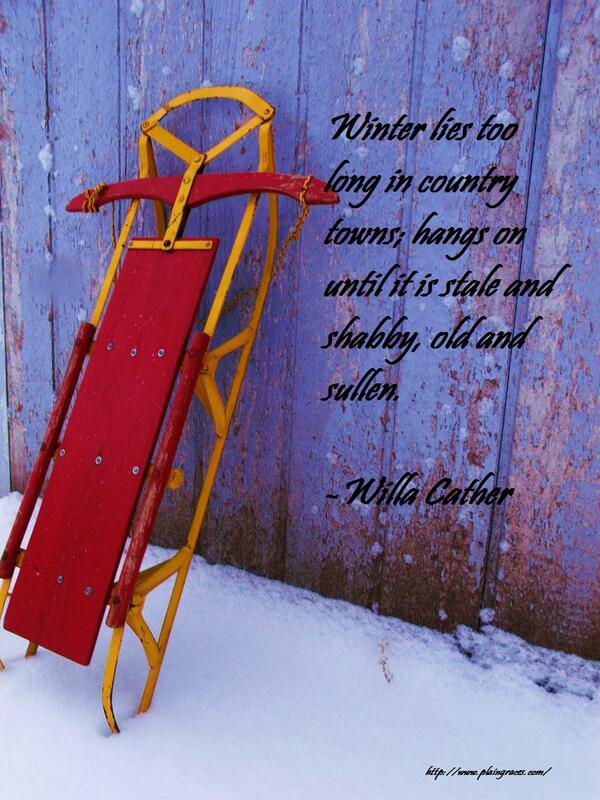 I found this quote and thought it would be perfect for a day filled with blowing snow. I was given a wonderful opportunity from Madame Deals recently. She posted an article of mine on how to create beautiful soaps. These make wonderful gifts for all occasions.